I remember when the toilet paper in public restrooms was nice. And then, one day, some guy in the “we need to sell more TP” department (as if demand wasn’t already pretty darn good) decided that going to 1-ply was a good cost-savings idea. ONE PLY? After all those years of needing 2-play now suddenly 1-ply is enough. I don’t mean to get personal here, but sometimes I just need that second ply. Don’t you? Okay, so I adjusted to it. Not happy, but adjusted somewhat. Then, they took out that frilly softness. Why waste money on comfort? Scratchy TP is good enough in public restrooms, right? I mean, do we really want to ENCOURAGE people to do their business here? Come on, people. Do that at home. But it’s the most recent trend that disturbs me the most. Maybe it’s not the worst product change. Maybe it’s just the straw that broke the camel’s back. Now, I’m seeing skinny TP. I mean the roll is actually narrower. It’s like 3″ wide. So how much more do you need to roll out now? That seems even more wasteful. And they don’t make it easy, either. I’m seeing that those rolls are getting harder and harder to unroll. Push it through and loop it up. I’ve had it. They win. No more public restrooms for me. I think that was their plan all along. I’m with you! It’s a false economy, too, because people just unravel wads of the stuff and then it hits the floor, so they tear that bit off and drop it … But you know what I hate more? The dispensers which are rigged to cut you off after two sheets. GAAAHHHH!!!! And our politicians stand by and do nothing. NOTHING! I was thinking about this. I agree with the thoughts about the harder and one-ply paper. I think the thinner paper is for a different reason. The linear footage of TP that can be spun on a roll is limited by the distance between the wall and that little spring-loaded bar. If they put too much paper on there than it wont fit on the bar. 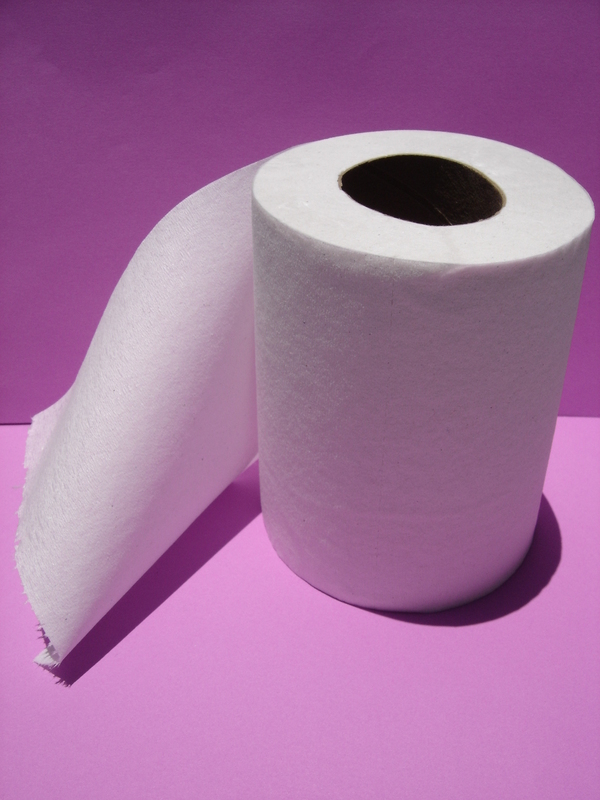 It’s in all of our interests to have a larger rolls available in public bathrooms so we can avoid the ‘Spare a Square’ problem. In order to have a larger roll Engineers figured they had to have the rolls mounted sideways like a spare tire on the back of a Jeep. My guess is that they ran into trouble when the rolls stuck out too far (because they used the original core widths) and in some limited space stalls it was hitting people. By making the paper less wide, they could make the dispenser more flush to the wall, and less in the way of the user. That being said, I still feel the squeeze from the end result, and I too suspect the French.